2.00mm Pin Header DualRow Double Plastic Angle Type Connector. 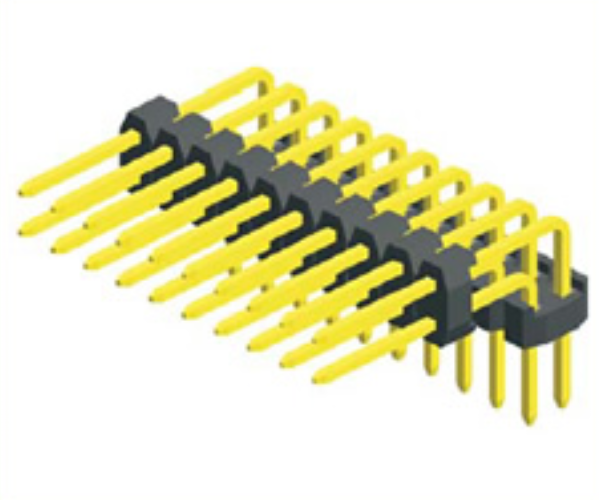 Antenk Electronics' production of the pin header series, the 2.0mm Pin connector provides a complete range of fine tone heads in a variety of configurations, including single, double and triple rows, right angle and right angle SMT mounting in through or through holes. Their tight tolerances of .020" squared posts were successfully completed and tapered to eliminate the insertion of the PCB to the damaged mating connector. 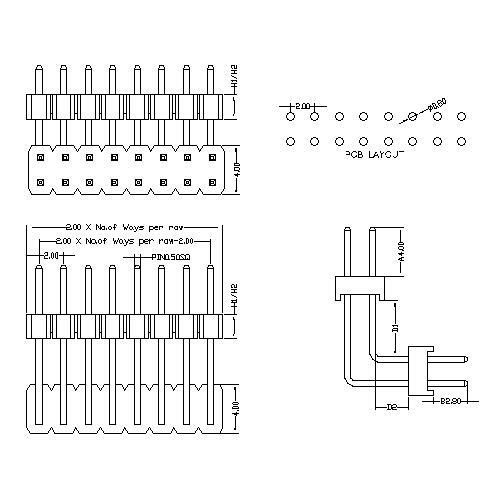 The pin header 2.0mm Pin connector can be easily cut to exact dimensions as needed. Options include stacked insulator tin, gold Or a selectively gold plated version and selection. This series is compatible with all industry standard 2.0mm pitch connectors. Looking for ideal Amphenol Right Angle Connectors Manufacturer & supplier ? We have a wide selection at great prices to help you get creative. All the Board to Board Power Connectors are quality guaranteed. We are China Origin Factory of 2.00mm Pin Header Automotive Connectors. If you have any question, please feel free to contact us.